Home Aussie Dave Another Palestinian “Own Goal”: Hitler La Visa, Baby! 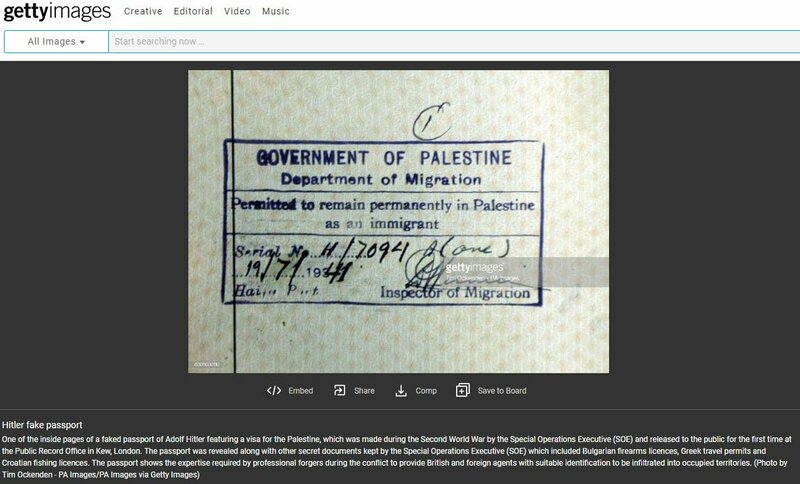 Paletinian propaganda site Quds News Network have posted this photo, supposedly of an entry visa for Palestine in 1941. 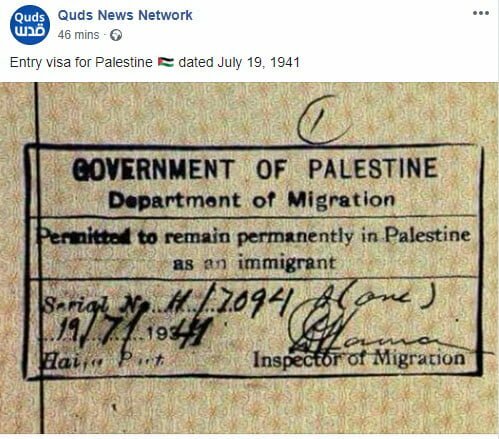 Again, it seems they are trying to make the tired and entirely irrelevant point that a Palestine existed before 1948. No Israel advocate on the planet would deny that – history shows there was a British mandate Palestine at the time. What there wasn’t was a state of Palestine belonging to the Arabs who have since identified themselves as “Palestinians” – a terms that once applied to all residents of the area, but especially those who were Jewish. In other words, it is as fake as about everything else we have come to expect from palestinian propaganda.